It is scientifically proven that our oral hygiene has the ability to affect our general health. A gum disease can fasten the mental illness by 6 times. It is not an exaggeration. Several types of research have shown that. Electric toothbrushes has been recommended by dentists all over the world over the traditional ones as they are more effective in cleaning teeth and gums.They are one of the many inventions that has taken the world by the storm. No doubt several brands and models are also available in the market. But which model is the best for you? Which one is the best price value product? To make it easy for you, we have listed some of the best electric toothbrushes to buy. This elegant and stylish electric toothbrush comes with a glass charger and a handy travel case for the charger. It operates on five brushing modes, i.e., clean, polish, gum care, white, and sensitive. Performance: 4.9 out of 5 stars. 7 times more effective in removing plaque! Battery Life: Equipped with Lithium ION rechargeable battery which has an operating time of up to 3 weeks. A full recharge takes up to 24 hours which is a bit annoying but you don’t need it to be fully charged for it to work. 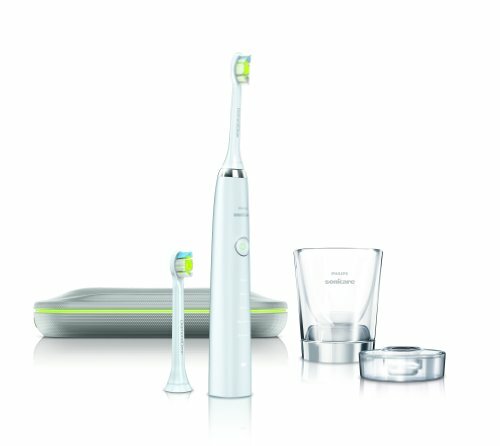 Design: Adorned with slim ergonomic handle design, Philips Sonicare DiamondClean makes for an attractive and cool looking electric toothbrush. Besides the usual ceramic white, this electric toothbrush is also available in pink, black and purple colors. Pros: Makes for a powerful yet at the same time a gentle cleaning of the teeth and excellent gum care. It has a long battery life which lasts up to a week. The sleek, slim design adds to its stylish looks. It helps improve gum health in just about two weeks and whitens the teeth 2 times better than a manual toothbrush. Cons: Expensive. The glass charger is difficult to store and takes up much of cupboard space. It is also difficult to change the settings from one brushing mode to another as you can’t see which settings you are opting for while you are using it. An excellent invention by German engineers to fight against the plaque and to enhance the speed of the brush and the overall performance. 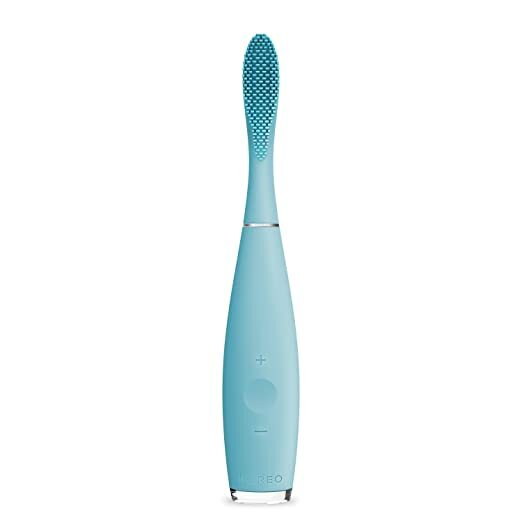 It is equipped with 6 high-performance brushing modes which are: Daily Clean, Deep Clean, Whitening, Massage, Sensitive and Tongue Cleaning.I have covered this product before so you may like to read it here if you missed it. Performance: 4.8 out of 5 stars. Successfully removes 300 % more plaque specifically along the gum lining!Amazon has over 3000 positive reviews with over 4 stars, so many people can`t be wrong. Battery Life: A rechargeable battery which lasts up to 5 days if used twice daily. Design: It is not slim like Philips Sonicare and employs a vital technology of a traditional rotating head which is quite different from the Philips DiamondClean. It also provides feedback on the brushing habits in real time using Bluetooth and Oral-B App and keeps you updated on the cleaning performance. The buttons to change the cleaning settings are easily manageable. Pros: The timer and real-time feeds come as handy and prove most suitable for kids in maintaining good oral hygiene habits. Easy to change the cleaning settings. The bristles which are placed strategically do away with the maximum plaque and provide brilliantly clean and white teeth. Cons: Slightly expensive. The App not as useful for fully functioning adults. Not as pleasant as Philips and easily gets mucky. A unique toothbrush technology, which is a combination of Sonic Pulse technology and Silicon design, was built from scratch unlike the other toothbrushes trying to improve the already existing ones. A new way to remove plaque without having to find the correct pressure as this toothbrush uses friction instead of scratching to clean teeth and gums. Performance: 3.8out of 5 stars. Although it cleans the teeth satisfactorily but the performance lowers on repetitive usage letting the plaque to build up in between the teeth and along the gumline. Battery Life: The charger is a USB cord and it takes a little over an hour to fully charge the toothbrush. Foreo has claimed that one-time full charge can last up to 365 times toothbrush usage. Design: Foreo ISSA features in soft silicone bristles that are flexible and reduces abrasiveness. The non-porous silicon also prevents microbe absorption maintaining its hygiene. The handle is also silicon which is easy to grip and plain looking. It is available in 4 colors: Cool Black, Lavender, Cobalt Blue, and mint. Two cleverly hidden plus and minus buttons are for manipulating the speed of the brush. Pros: Usually electric toothbrushes require frequent brush head replacements while ISSA does not. The brush heads last up to a year. Equipped with travel lock which prevents it from turning on by accident. Bacteria resistant silicon used in the construction. Cons: Pricey. The USB cord is short. Small in size. A smart electric toothbrush best buy uses ultrasonic waves for cleaning the teeth. It has only two cleaning modes. The tongue cleaner at the back adds a nice touch. Performance: 4.1 out of 5 stars. With a little effort, it gives a respectable cleaning performance! Battery Life: Battery lasts up to a week after a charge. It usually takes a day to charge it to full. Design: It is comparatively smaller in size than the other available electric toothbrushes in the market. Pros: Reasonably priced. Easy to carry while traveling due to being small in size. Reduces stains in 2 weeks of regular use. Cons: There is no warning for low battery. Not even when it is fully charged or is still charging. The cleaning requires more effort, i.e., a bit of pressure and guided movements. A well-designed electric toothbrush with an auto-adjust technology and the use of smart sensors that control the speed. It improves the cleaning ability and provides specific brushing along the gum line and teeth. Performance: 4 out of 5 stars. Removes 5 times more plaque! Battery Life: The battery lasts up to a week but it charges slowly taking about a day to fully charge. Design: Quite a stylish electric toothbrush although not a match to Phillips in looks. It has manual mode selection to turn on and off the mode you want for cleaning and speed. Pros: Really expensive but with great value product. It gives good results where cleaning is concerned. Easy to hold and carry while traveling. Cons: It is rather noisy and the sounds produced are reminiscent of the visit to the dentist. It feels far too abrasive than its counterparts. An advanced technology electric toothbrush travel model has been developed under the careful eyes of the dentists for providing you with a unique cleaning experience and healthy teeth and gums. Performance: 4.3 out of 5 stars. Promises to be 5 times more efficient in removal of plaque! Battery Life: It has a USB charging system. Design: A slim and lightweight body designed specifically for travel and its compact appearance. Despite having done away with the detailed mechanisms and power tools, it is still a powerful toothbrush. The outer bristles clean nice and deep along the gum lines. Pros: Reasonably priced. Compact and light-weight design for traveling. It gives interdental cleaning. Philips and Oral-B are in neck to neck competition over manufacturing best electric toothbrush lines out there. Oral-B offers better cleaning but Philips tops it off with a better look and longer battery life. While both brands are reliable, it depends on your preference and budget which one you go for. No doubt an electric toothbrush will cost more than a manual toothbrush but the fact that the electric toothbrush cleans the teeth more thoroughly and keeps our teeth healthy and white makes it a worthwhile investment. Even the dentists have long since admitted that and that is why they recommend buying and using electric toothbrushes over the manual ones. The kids, specifically toddlers, however, should keep using manual toothbrushes for safety reasons. Now the best place to buy the above-mentioned toothbrushes and more is Amazon, they have the best prices around, you can Click here To view Amazon. If you have any questions, please do leave me a message below.